The Friends of the Grafton Public Library: Providing volunteer and fundraising support to the Grafton Public Library in Grafton, MA. The Friends of the Grafton Public Library is a volunteer organization that works to support our library through advocacy and activities designed to raise money for library needs which are not funded by our local, state, or federal government. We use the money we raise from the Down Under Bookstore, fundraisers, and memberships to offer a variety of programs to the Grafton community. These programs include museum passes, the summer reading program, exhibits, speakers, workshops, and concerts. For more info, see our about us page. 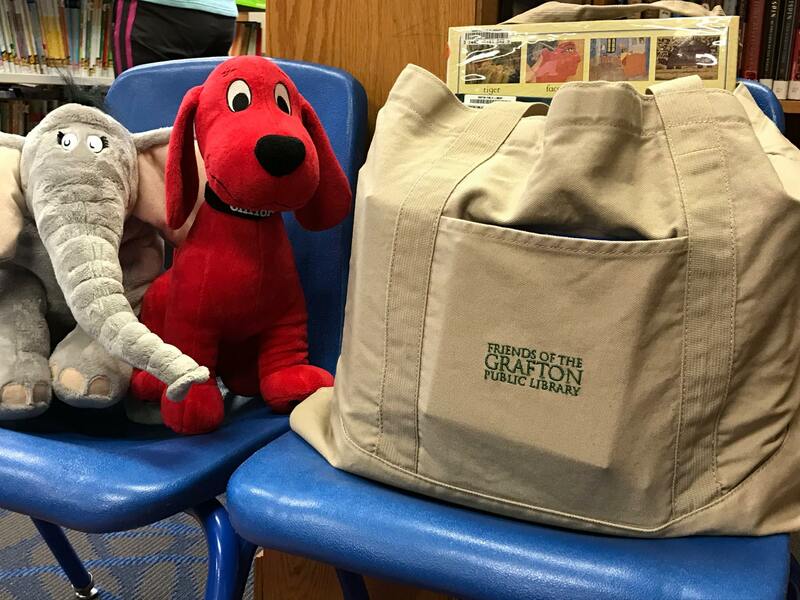 Come and get a fabulous tote bag - it’s large, washable and has two pockets, including a zipper pocket perfect for holding a Library card or attaching a key chain. They come in three color options, khaki with forest green embroidery, khaki with lime green embroidery, and poppy with navy embroidery. Bags are going for $20, but members of the Friends get them for $18. All proceeds benefit the Grafton Public Library. Stop by the library and get yours today! 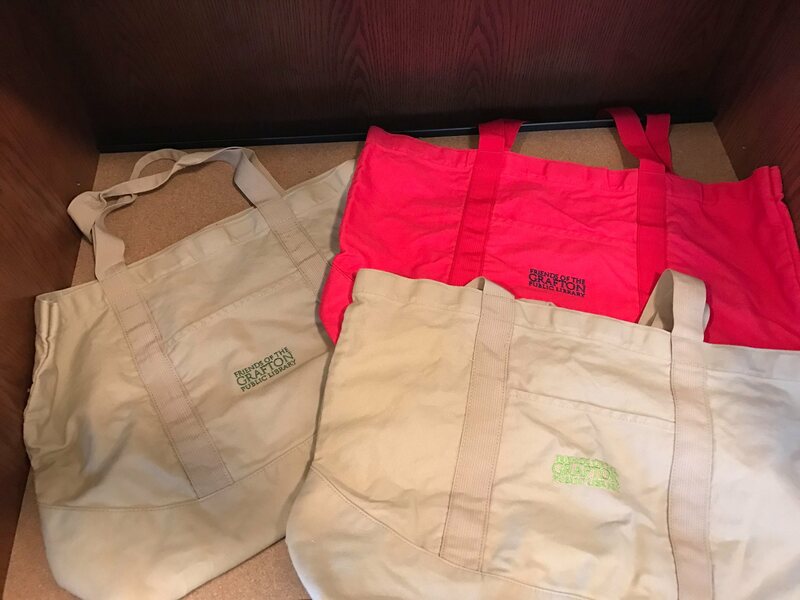 Tote bags in all three color options. Click for full size. Example of the khaki bag filled with stuff. Click for full size. To see what we're up to, use our Facebook page plugin below. For upcoming events, check the events tab. For recent news, check the timeline tab. Like the Friends on Facebook! Like the library on Facebook!